This is a rather short stream, however it is very enjoyable. It is easily accessible too. 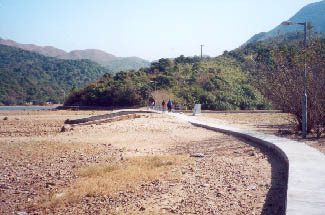 Its entrance locates in Chek Keng (赤徑) of Sai Kung (西貢). There are many red ribbons leading visitors along the way. 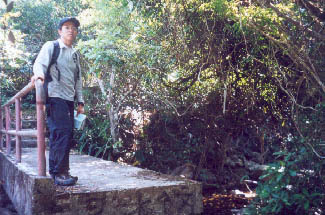 The bridge ahead is the delta area of this little Pak Hang stream. We get into the river at this little bridge. 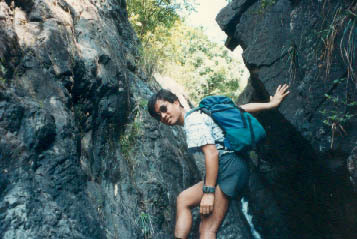 After a while the stream cuts across a main hiking trail. This area is called Half Corridor (半壁廊). Lawman is scaling across this rock wall. It is not too difficult but it definitely demands certain skills. 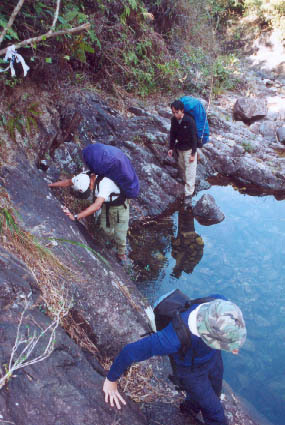 Opposite to the rock wall there is regular dry river bed. 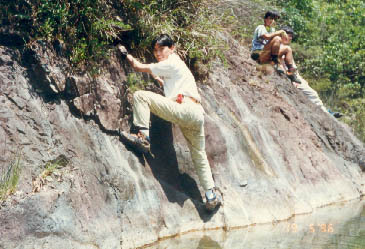 Scaling the rock wall is not mandatory. This is what the Half Corridor looks like when we look back. There is a deep pool. This pool could be rather full in rainy seasons. 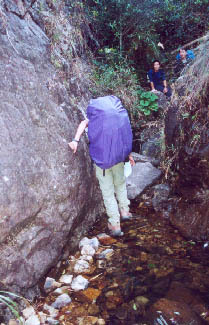 This narrow passage is dubbed "Little Gorge (小巫峽)". Going through right in the middle of this gorge is rather difficult. 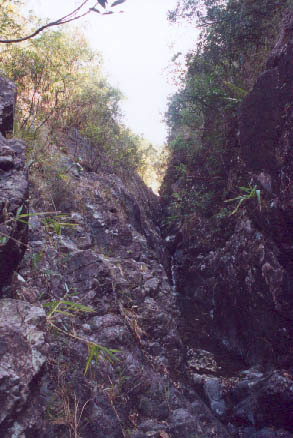 Someone people take the slope on the left to overcome this gorge. Eugene is cramming himself along the Little Gorge. 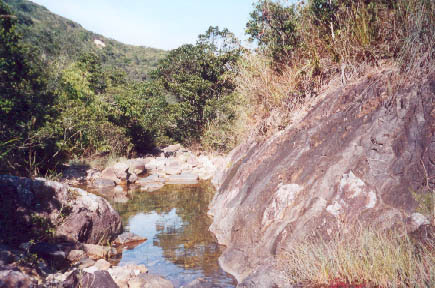 Right after the Little Gorge, there is an open area with water pool for relaxation. These big guys are skimming the water edge to by-pass the pool. 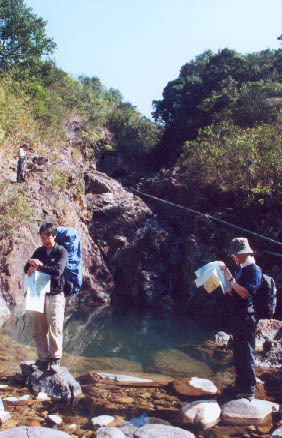 The stream is getting narrower and drier as we go higher. 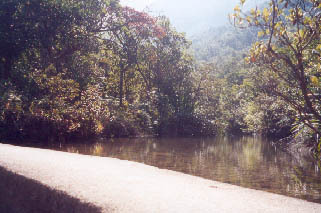 There is a faint path leading visitors from the upper stream to the major hiking trail at about 160M.